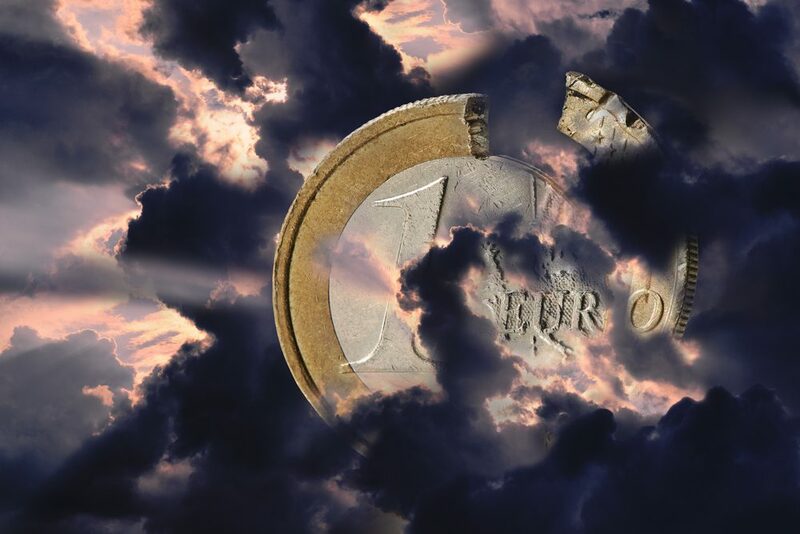 The eurozone has been suffering from signs of slowing economic growth of late and, while the data is still positive, it is leading some to think that perhaps the economic projections made at the start of the year might have been a little on the optimistic side. This then, makes the fact that it appears the eurozone crisis is rearing its ugly head once more, all the more alarming. Over the weekend, we learned that attempts to form an Italian coalition have failed and there is now the very real possibility that there will be new elections this autumn. Italy appears to be going through a range of troubles, including investors’ fears that Italy might effectively vote to leave the euro; its credit rating could be downgraded; and consumer confidence was weaker than expected in May. In addition, the Spanish government faces a no confidence vote on Friday. All of this caused the European markets to open lower and the euro weakened against sterling and the dollar. The single currency managed to end yesterday by retracing some of its losses throughout the day, but at one point it hit its lowest mark against the dollar for more than six months. Today we’ll see the German unemployment rate in May, as well as German inflation. However, the headline release is the second estimate of the US GDP growth rate for the first quarter of 2018. It is expected to fall from 2.9% to 2.3% and it will be interesting to see whether there are any dollar movements following the release. There’s still the opportunity to grab hold of a copy of our latest currency forecasts. They’ve been the most popular ones we have ever created to date, so do take the time to download them. If you have any questions or concerns after reading them, then please get in touch with a member of our team and we will discuss the options available to you. It was a quiet day for economic data from the UK yesterday, but reports that the British economy has failed to fully recover from the period of inclement weather we had earlier this year is causing some consternation. It was felt that a recent string of poor economic data releases could largely be attributed to the ‘Beast from the East’, where heavy snowfall caused a slowdown in sectors, including construction and retail. However, while there are some positive signs of recovery, economists are arguing that recent performances would be much better were it not for lingering fears over Brexit. David Blanchflower, a former Monetary Policy Committee member, suggested that there could even be a case to cut interest rates – a significant move away from what many expected in the first quarter of 2018. The uncertainty looks set to continue for some time and Theresa May’s shaky relationship with some of her party members isn’t exactly helping matters. Today is another quiet one for the UK, but tomorrow we’ll see consumer confidence for May, as well as the Nationwide housing prices for the same month. It wasn’t a great start to the shortened week for the eurozone yesterday, as Italy appears to be in something of a crisis. The failure to form a coalition suggests there could be fresh elections later this year and Moody’s reported that Italy’s credit rating could be downgraded. There is even speculation that Italy could effectively vote to leave the euro which won’t be great news for all parties. It is certainly a situation to keep our eyes on. Today we’ll see April’s retail sales and May’s unemployment and inflation rate from Germany, which will provide fascinating insight into how the eurozone’s largest economy is performing. We will also see a raft of data from the eurozone, including business confidence, consumer confidence, services sentiment, economic sentiment and industrial sentiment. We could see some euro volatility throughout tomorrow, depending on what the releases appear to show of course. The dollar strengthened once more against sterling and the euro yesterday, and even managed to hit its highest mark against the euro for more than six months before slipping back a little. This was likely more because of events elsewhere as opposed to anything in the US, although increasingly positive signs over the US economy will no doubt linger in the mind of investors. CB consumer confidence came in as expected, by holding steady at 128.0, which represents an increase from 125.6 the month before. Today is much busier, with the unemployment change for May due in the afternoon. However, all eyes will be set on the second estimate of the GDP growth rate for the first quarter of 2018. It is expected to have come down from 2.9% to 2.3% which would be quite a drop, but who knows? In any event, it will be interesting to see how the dollar performs in the run-up to the release and the aftermath.